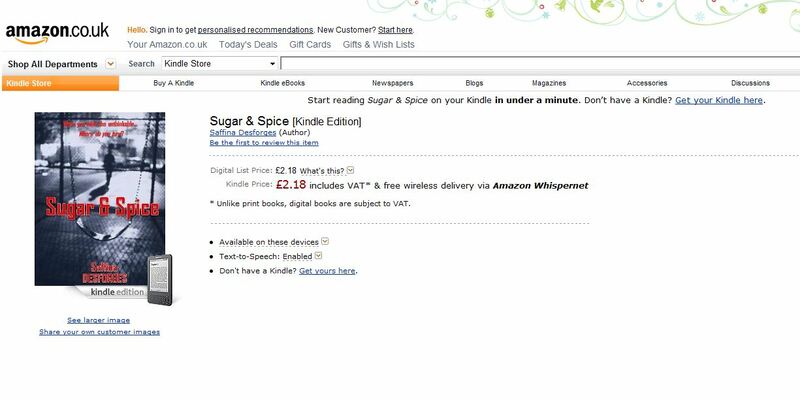 I am pleased to announce that Sugar & Spice ‘went live’ on Amazon Kindle ebooks this morning and is available for download. Wonderful blogpage Sue, good luck with your books. PS. Added you to my blogroll and shared a couple of your links to FB and Twitter!